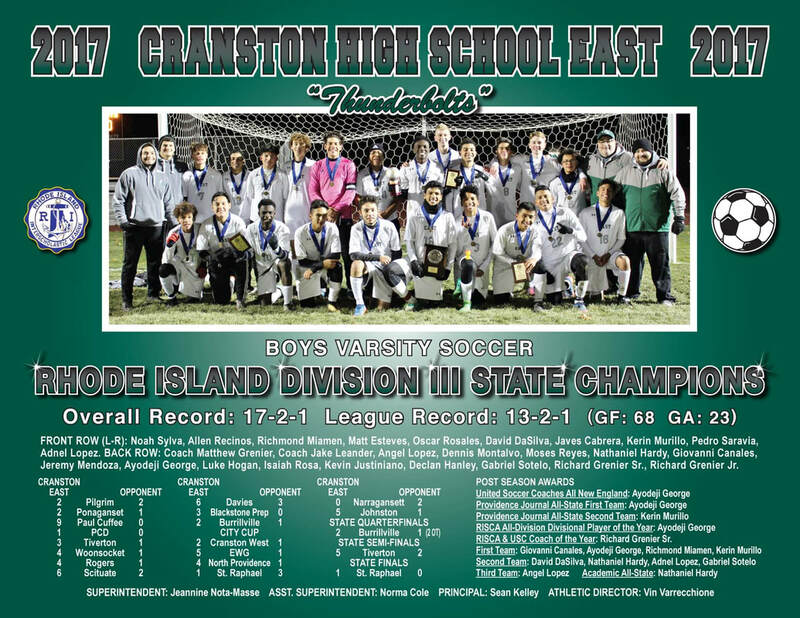 The Cranston East Thunderbolts (17-2-1) captured the school's third State Championship in 48 years of interscholastic league play. In addition to setting a new school record for most wins, the Green and White set a new record for most goals in a season with 68. In the fall of 2017, Cranston East honored nine seniors at halftime of their last regular season game. The class of 2018 includes (L-R) Javes Cabrera, Oscar Rosales, Kevin Justiniano, Isaiah Rosa, Richmond Miamen, Pedro Saravia, Ayodeji George, Gabriel Sotelo and Nathaniel Hardy. In their league opener at Pilgrim, the Thunderbolt earned a 2-2 tie against the older Patriots. While outshooting them, 22-17, The Bolt hit the top post five times in the match. Trailing 1-0 with under three minutes to go in the first half, Ayo George scored on a penalty shot to even it up. The Green and White allowed Pilgrim to take a 2-1 lead three minutes into the second half. ​​​Led by the solid defensive play of Ayo George, Pedro Saravia, Adnel Lopez, David DaSilva and Luke Hardy, the Thunderbolt earned their first victory of the year with a 2-0 win over Ponaganset, who finished 13-4-0 one year ago. Gio Canales had 8 saves to earn his first shutout of the year. In the second half, senior Ayo George broke a scoreless tie with a goal on a free kick. Ayo George scores on a free kick. The Bolt coasted to their second win of the year over Paul Cuffee. 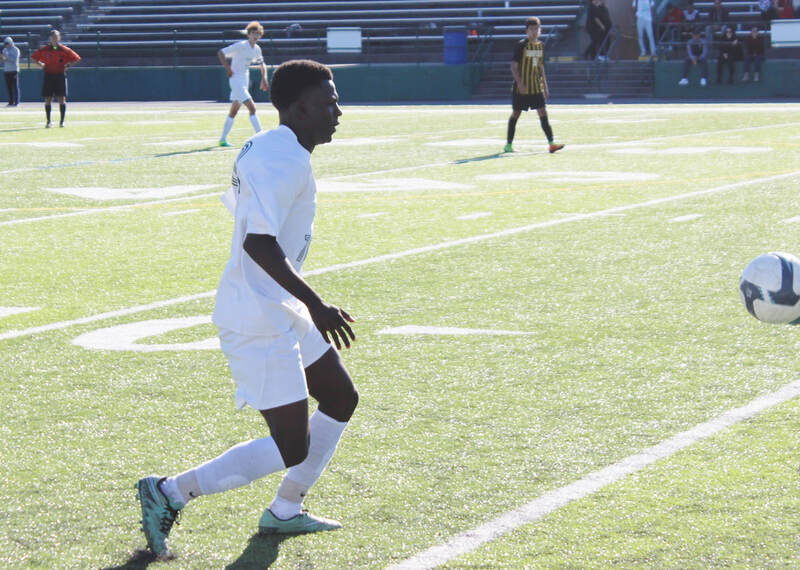 ​Scoring goals for the Green & White were Kerin Murrillo (3 goals & 1 assist), Richmond Miamen (2 goals & 2 assists), Ayo George (2 goals & 2 assists), Angel Lopez & Javes Cabrera. Richmond Miamen scores for Cranston East. Ayo George scores after Nat Hardy places a perfect ball in the box. Senior Ayo George's second goal was all the Thunderbolt needed for their third win of the year. Giovanni Canales, who had six saves in the match, recorded his third consecutive shutout. Despite outshooting the Knights, 26-10, the Green & White could not cross the goal line until Kerin Murillo was tripped in the box with 14 minutes left to go in the match. Ayo George calmly scored on the ensuing penalty shot. Led by the outstanding play of junior goalkeeper, Giovanni Canales, the Thunderbolt won their fourth consecutive game, 3-1, over Tiverton. Playing in their first night game of the year at the Tiger's den, the Bolt took a 1-0 lead 14 minutes into the game when Ayo George made a run from the back, setting up a breakaway goal by Kerin Murillo. After Tiverton tied the game in the second half on a set piece, East took a 2-1 lead when Richmond Miamen found Murillo inside the 18. With three minutes remaining, Moses Reyes scored the clincher on a rebound off of a Miamen shot. After jumping out to a 4-0 halftime lead, Cranston East coasted to their fifth victory of the year over the Villanovans of Woonsocket, 4-1. Senior Richmond Miamen led the way, scoring two goals in the first half. East also received support from David DaSilva (1 goal), Adnel Lopez (1 goal), Kerin Murillo (2 assists) & Gabe Sotelo (1 assist). Giovanni Canales was impressive in net once again, posting ten saves in wet conditions. 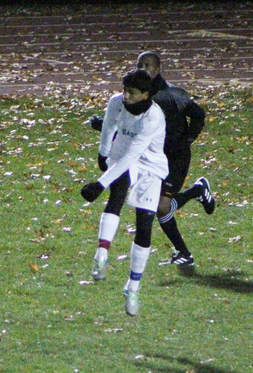 Sophomore Angel Lopez, who scored a goal against Woonsocket, has had a solid season in the field for the Bolt. Led by the playmaking skills of sophomore Kerin Murillo (three assists), four different players scored in a 4-1 victory for Cranston East. At the 22 minute mark of the first half, Murillo found teammate Richmond Miamen inside the 12 yard line for the first goal of the game. In the second half at the 15 minute mark, Murillo dribbled several defenders and found Gabe Sotelo at the 12 yard line for a 2-0 lead. Four minutes later, freshman Noah Sylva found Nat Hardy for 3-0 lead. The Bolt scored their final goal two minutes later (19:46 remaining) when Murillo connected with Ayo George (header) on a corner kick. Richmond Miamen scored the Thunderbolts first goal of the game against Rogers. After falling behind 1-0 five minutes into their game against the Spartans of Scituate, the Bolt scored the next six goals in a 6-2 road victory. Kerin Murillo scored three goals in a span of 25 minutes to lead the way in a first half for the Bolt who outshot the Spartans, 16-1. Offensively, the Green & White were led by Murillo (4 goals), David DaSilva (1 goal & 1 assist), Javes Cabrera (1 goal), Gabe Sotelo (2 assists), Adnel Lopez (1 assist) & Ayo George (1 assist). 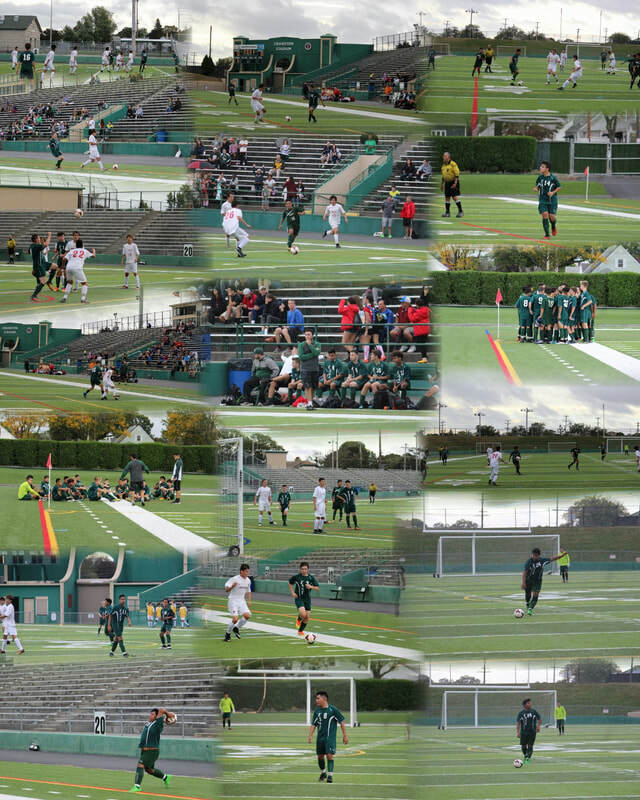 Defensively, Cranston East permitted only five shots over the last 75 minutes of their match. Playing well for the Bolt were fullbacks Luke Hogan, Pedro Saravia & Adnel Lopez. Kerin Murillo receives a perfect pass from David DaSilva and records his fourth goal of the game. Cranston East surprised the two-time champions, Davies Vocational, with a 6-3 victory. The Green and White bolted to a 3-0 lead in the first half, courtesy of goals from David DaSilva, Angel Lopez and Ayo George. DaSilva scored the first goal 19 minutes into the game when he headed in a perfectly placed corner kick by Kerin Murillo. Eight minutes later, Angel Lopez opportunistically scored on a rebound after Murillo blasted a ball into the 12-yard line. The final tally of the half came via a corner kick once again when senior Gabe Sotelo connected with Ayo George. East put the game out of reach 33 seconds into the second half when Murillo took a perfect pass at the 18 yard line from Richmond Miamen and beat the the Patriot goalkeeper to his right for a 4-0 lead. Cranston East received a solid effort from freshman Matt Esteves who started at sweeper for the Bolt. Gabe Sotelo gets ready to take a Corner Kick. Gabe Sotelo looks for Angel Lopez in their match against two-time defending champion, Davies. The Thunderbolt continued their solid play with a well-earned 3-0 victory over Blackstone Valley Prep. It was the ninth consecutive win for the Thunderbolt. Despite outshooting their opponents, 19-3 in the first half, East scored only one goal with :30 seconds remaining when Noah Sylva sent a pass to Kerin Murillo, who blasted a shot by the Pride keeper at the top of the 18 yard line. The Bolt continued to hold an advantage in terms of ball possession, however, they did not score their second until Ayo George scored on a penalty shot after Kerin Murillo was tripped in the box with 14:14 to play. Three minutes later (11:15), Richmond Miamen received a pass from Murillo and made it 3-0 when he lined a shot (right-footed) by the Pride keeper. 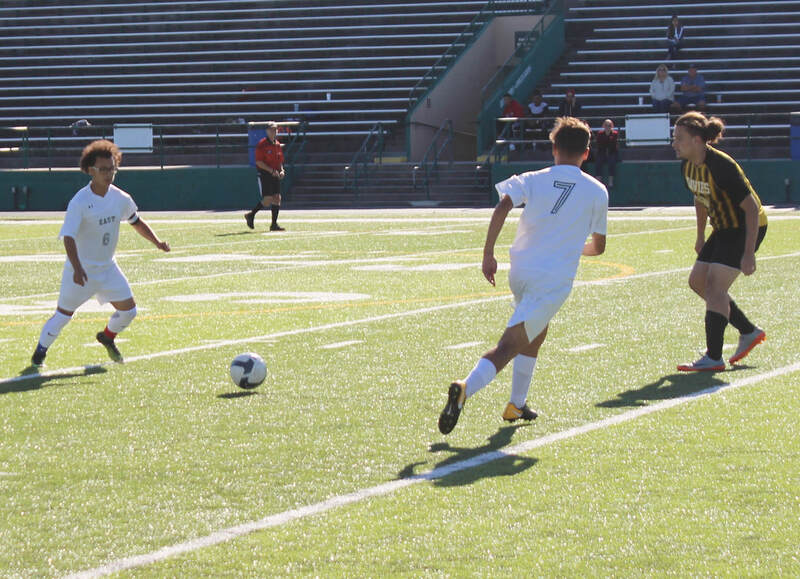 David DaSilva races by a BVP defender. ​In a battle of two of the top teams in Division III, Cranston East edged Burrillville, 2-1, to improve the record to 10-0-1 on the year. The quick and physical Broncos were a tough match-up for the Bolt whose system predicates on more of a finesse style of play. After a scoreless first half, East scored with 16:49 to play when Kerin Murillo collected a ball from Ayo George, dribbled into the box and sent a ball inside the 6 yard line as he was falling to the ground. Sophomore Declan Hanley quickly touched the ball in for 1-0 lead. 90 seconds later, however, the Broncos scored a perfectly executed set piece to knot the score at 1-1. Both teams battled for the last 15 minutes with goalkeepers Gio Canales and Ben Lamoureux (Burrillville) making eye-opening saves. With 15 seconds left to go in the match, East was awarded a free kick at the 25-yard line. David DaSilva found Kerin Murillo left open inside the 18-yard line. 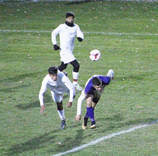 Murillo dribbled toward the box and line a ball off a Bronco defender for the game-winning goal. defeated the Falcons of Cranston West, 2-1, to earn their third City Cup Championship in four years. With less than a minute to go in regulation, Richmond Miamen scored the winning goal when dribbled by several defenders and line a shot from the 12-yard line by the West goalkeeper. Kerin Murillo gave Cranston East a 1-0 lead in the first half. Giovanni Canales recorded ten saves for the Bolt. Led by Angel Lopez's hat trick, the Thunderbolt surged past EWG for their 11th league victory of the year. Gabe Sotelo and Kerin Murillo also added bookend goals for the Bolt. Recording assists were Lopez, Murillo, Ayo George and David DaSilva. On the verge of winning their first divisional championship in 43 years (1974), the Thunderbolt of Cranston East turned a 1-0 lead into a 4-1 victory under the lights in North Providence. The Green and White (12-0-1), who have 37 points, hold an 11 point lead over Narragansett (8-2-2) with three games left in the regular season. The Bolt had a balanced scoring attack with David DaSilva, Ayo George, Angel Lopez and Richmond Miamen scoring goals. Picking up the assists were Kerin Murillo (16 goals and 16 assists on the year) with two more assists, David DaSilva and Angel Lopez. Despite outshooting and maintaining over 50 minutes of possession, the Thunderbolt lost their first game of the year to the Saints of St. Raphael. St. Raphael, which benefited from two penalty kicks by Max Rodriguez, played a solid game defensively against the top scoring team in Division Three. ​The lone goal for the Bolt was provided by Richmond Miamen. After the purple and gold took a 1-0 lead on a penalty shot, Kerin Murillo found Miamen after 27 seconds later at the top of the box. After going undefeated in the first 13 games, the Thunderbolt lost their second consecutive game of the week to the Mariners of Narragansett, 2-0. The Thunderbolt, who outshot the red and white 29-13, could not get the ball by senior goalkeeper, Jack Betts. Betts recorded 16 saves for the victory. In the second half, Betts leaped to punch three shots over the cross-bar to turn away four Thunderbolt corner kicks. Facing adversity after losing two league games in a row, the Thunderbolt rebounded and ended the year with a solid 5-1 victory over the Panthers of Johnston. With the win, Cranston East closed out the regular season with a 13-2-1 league record and their first divisional championship in 43 years. In dramatic fashion, the Thunderbolts overcame a strong effort from Burrillville with a 2-1 overtime victory to advance to the Division III Semi-Finals. With 2:32 left in the second overtime, Gabe Sotelo found Richmond Miamen at the near post on a corner kick to send the stadium in an uproar. In a game which went back and forth in terms of possession, Ayo George put the Bolt ahead on a penalty shot in the first half. With 7:22 left, the Broncos tied the game up on a direct kick from 25 yards out. As the game moved to overtime, both goalkeepers, Giovanni Canales (13 saves) and Ben Lamoureux (11 saves) took center stage making several key stops before Miamen scored the winning goal with 2:32 left in the overtime. Richmond Miamen in an earlier game this year against Davies. Led by a blitzkrieg of goals, the Thunderbolt punched their ticket into the Division III State Championship with a 5-2 victory over the Tigers of Tiverton. At the 23:27 mark of the first half, Angel Lopez, who overlapped Richmond Miamen inside the 18 yard line, took a pass from Miamen and quickly one-touched it back to Nat Hardy who tucked it into the right post past the Tiger keeper for a 1-0 lead. With 8:30 remaining in the half, the Green and White struck for three goals in a four minutes to break open the game. Richmond Miamen picked up his second assist of the game when he squared a pass to Kerin Murillo, who sent a shot for a 2-0 lead. Adnel Lopez (left) and David DaSilva (right) had a solid game for the Thunderbolt in their 5-2 playoff victory. ​Two minutes later (6:48), Murillo returned the favor to Miamen to make a 3-0 lead. David DaSilva followed that up at the 4:37 when he blasted a shot from 30 yards out to give CHSE a 4-0 lead at intermission. 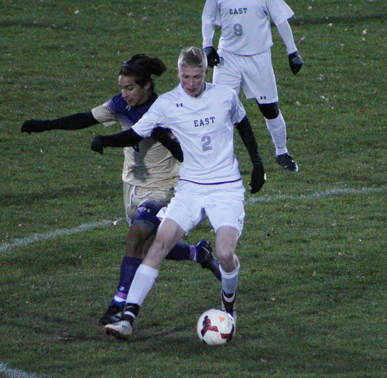 In the second half, East was able to empty the bench early, as they coasted to the 5-2 victory. 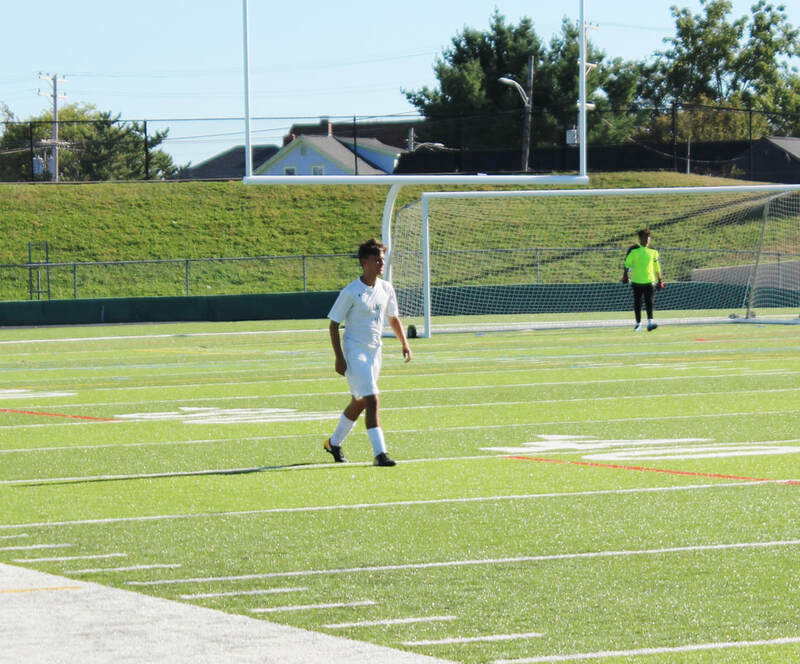 Offensively, Cranston East received support from Kerin Murillo (2 goals and 1 assist), Richmond Miamen (1 goal and 2 assists), David DaSilva (1 goal), Nathaniel Hardy (1 goal), Matt Esteves (one assist), Angel Lopez (one assist) and Javes Cabrera (one assist). George leads East to State Title! 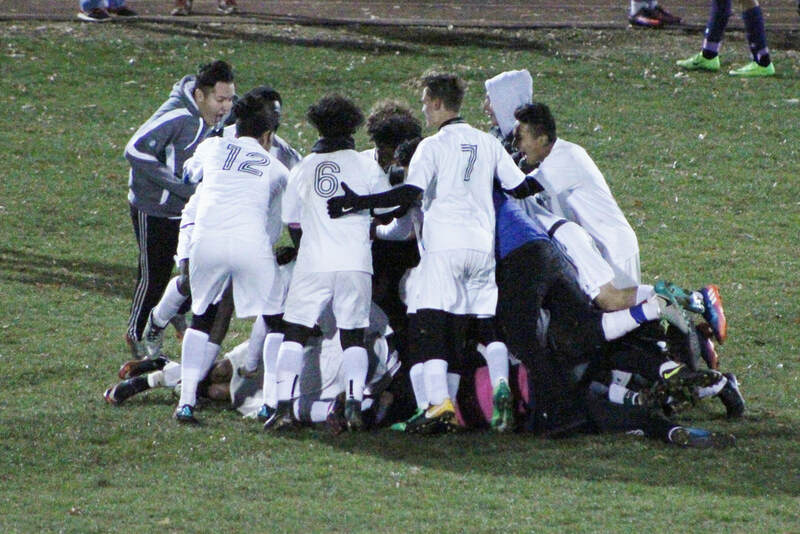 The Cranston East Thunderbolts boys’ soccer team won the Division III state title, beating the St. Raphael Academy Saints, 1-0, at Rhode Island College on Saturday evening. 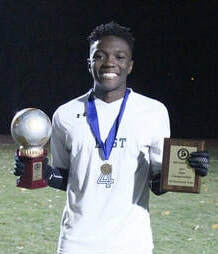 East senior midfielder and sweeper, Ayodeji George, netted the game-deciding goal and earned the game’s Most Valuable Player award. East’s Kerin Murillo, Gio Canales and Richmond Miamen made the All-Tournament Team. Murillo led the team during the season in both goals with 18 and assists with 21. East finishes the season at 17-2-1, breaking the school’s record for wins in a season and for goals scored in a season with 68. The old record was 14 wins back in 1974 with Coach Lyle Perra. 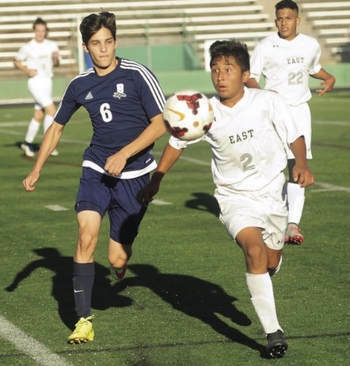 East forward Angel Lopez fired the first shot of the game, a bouncer that was scooped up by Spencer Hsu, the St. Ray’s goalkeeper, one minute into the contest. One minute later, Hsu denied a shot from Murillo, before East’s David Da Silva booted one over the net. In the 15th minute, St. Ray’s got its first shot on net when midfielder Aaron Flynn sniped from 18 yards out, only to have it denied by Canales. During the 19th minute, Murillo passed into the box to Miamen, but the forward’s attempt was denied by the St. Ray’s goalkeeper. Two minutes later, the pair connected again, but again, it came up short when Miamen's kick just slightly cleared the net. St. Ray’s had chances in the 20th and 23rd minutes, but shots from Dylan Polion and Max Rodriguez sailed wide of the mark. In the 35th minute, St. Ray’s rifled a shot from in front of the circle, but Canales raced right and knocked it away at the last moment. The teams would head into the break scoreless. Nine minutes into the second half, East got off a quality shot when Da Silva fired from inside the box, but it got denied by Hsu. Not long after, Canales stopped two shots from St. Ray’s Sebastian Romero. Then, down the other end, East’s Murillo missed wide from just outside the box. 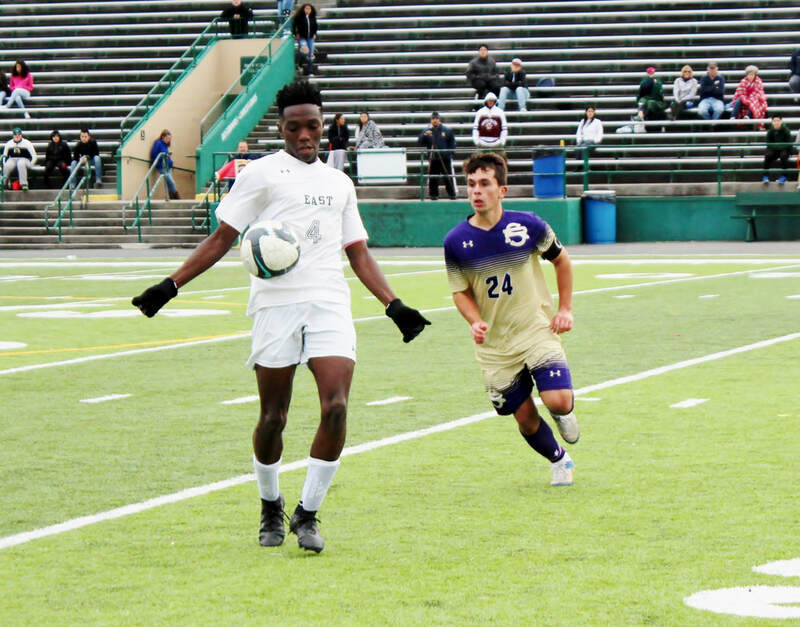 At the 61-minute mark, Sotelo used a free kick to send the ball into the box, and it deflected off a St. Ray’s player, before Ayodeji swooped in and put it into the net, giving East the 1-0 lead. This is the third time that Grenier has coached a team to a soccer state championship. The other two occurred when he coached Cranston West (1996) and West Warwick (2004). ​Jake Leander, Matthew Grenier and Richard Grenier, Jr. were all assistant coaches for East this fall. For only the third time in the program's 48-year history, the Thunderbolt of Cranston East claimed a State Title. 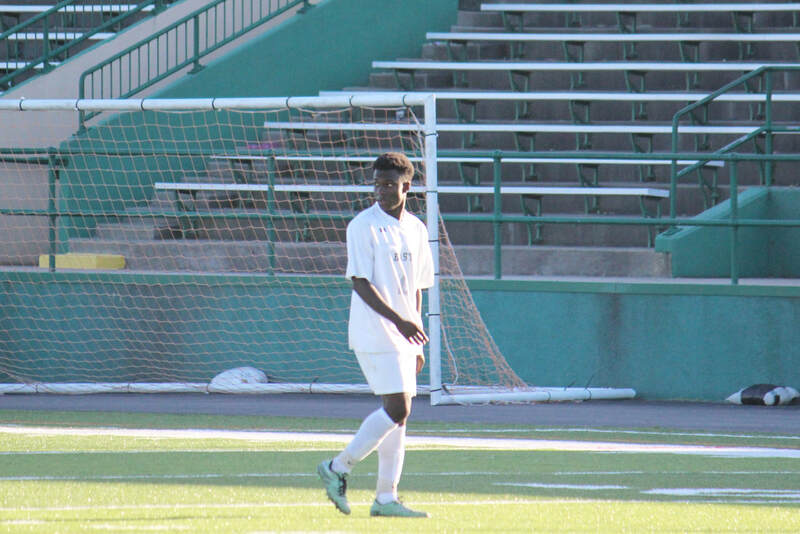 Led by senior Ayodeji "Ayo" George's strong defensive play as sweeper and timely goal with 18:31 seconds remaining in the final, the Green and White avenged their regular season loss to the Saints of St. Raphael, 1-0. 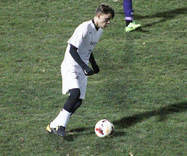 George, who was named the game's Most Valuable Player, received a perfectly placed pass off a free kick from fellow senior Gabe Sotelo (see video clip). 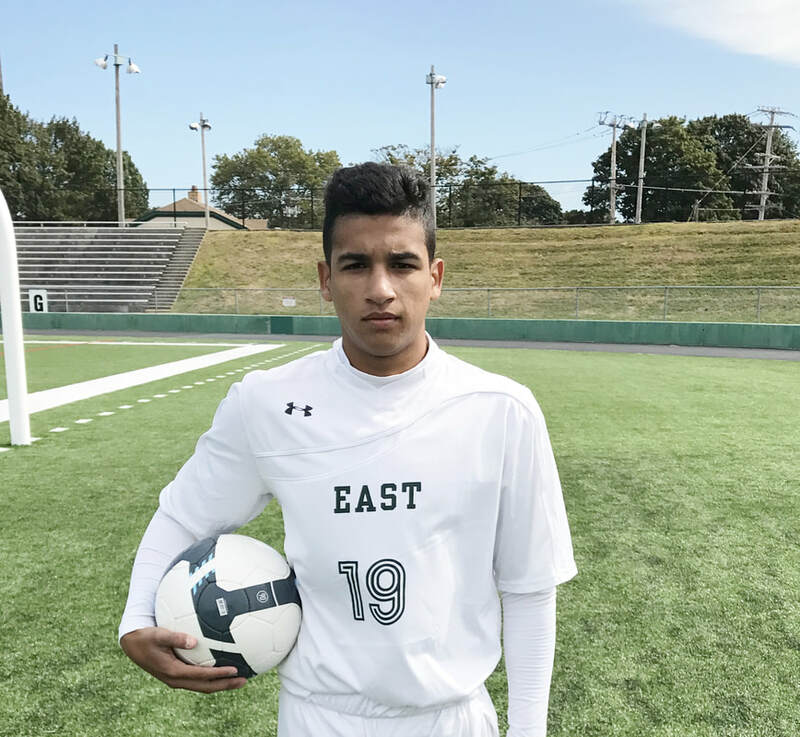 Defensively, Cranston East received a solid team effort, allowing just two shots in side the 18-yard line, while Giovanni Canales recorded 9 saves. Before George's timely goal, the Green and White controlled most of the play, outshooting the Purple and Gold, 24-12. The Bolt celebrate after capturing the schools third state championship in their 48-year history. The quartet of Bolt coaches take a picture after their team won the 2017 D-III State Title. From L-R: Matt Grenier, Rich Grenier Sr., Rich Grenier Jr. & Jake Leander. The Cranston East Thunderbolt won their third City Cup Championship in four years over crosstown rival, Cranston West, 2-1! While the Thunderbolt get set up, Gabe Sotelo gets ready to take the most important free kick of his high school career. Moments later, he connected with Ayo George for the game-winning goal (below). 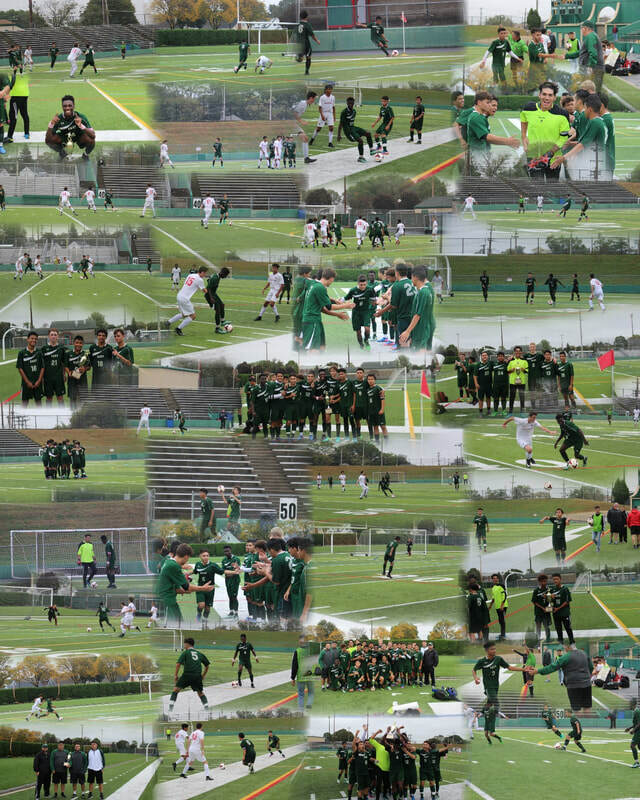 The Cranston East Junior Varsity team played to a 0-0 tie against crosstown rival, Cranston West. After a 5-5-5 league record last season, the Bolt finished the regular season in first place with a record of 13-2-1.